In some ways living in a hospital is like being at a festival; you rarely shower, you sleep on the floor, you lose track of the outside world. It just happens to be the worst festival ever. A festival where it rains all the time, the bands all cancel and on the last night someone you love dies. I know this because I recently spent the final six days and five nights of my step-dad’s life on Ward 50, the Renal Ward, at Hull Royal Infirmary. It was a sustained and heart-breaking ordeal. My mum, my brother and I stayed with him from the moment we were told the end was near, joined regularly by my grandparents, my girlfriend, my step-brothers and other family members and friends. Characteristically he defied expectations and hung on for longer than the doctors had predicted, but ultimately his illnesses were too much even for him. 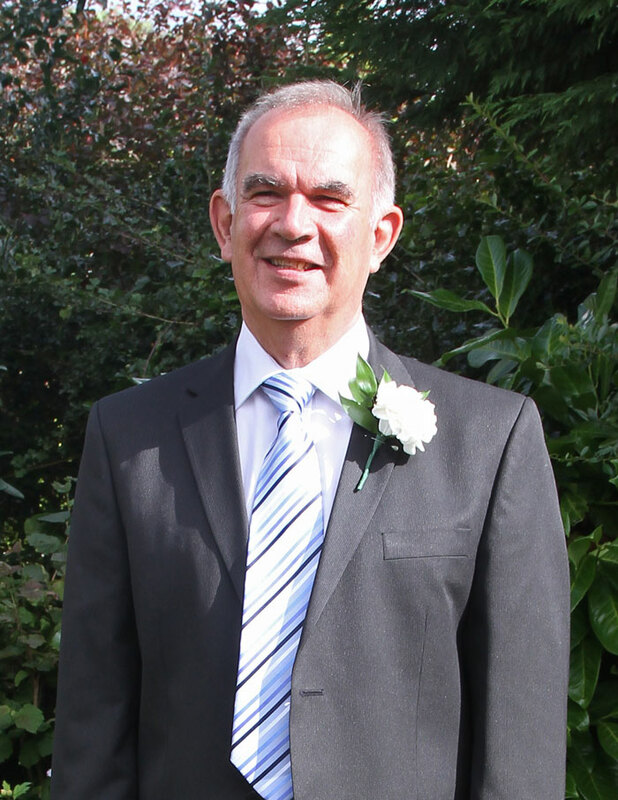 My step-dad, Graham, passed away on Tuesday 4th September. He was an exceptional man and he has left behind an insurmountable void in our lives. I’ve no doubt any time spent in those circumstances is excruciating, but experiencing it for so long made it even more devastating. We wouldn’t have been anywhere else of course, and as long as Graham’s heart kept beating the hope of a miracle lived on, but as the hours ticked by the anxiety and hurt found new exhaustive levels. Each day established itself as the worst we’d faced, only to be immediately surpassed by the next. For the first forty-eight hours or so Graham could communicate occasionally, even managing to wish my grandma a happy birthday. That memory along with a few others persist as small waves of joy in an otherwise ocean of grief. Graham’s eyes however closed days before his heart stopped and his voice left long before his breath did. From that point onwards we sat, for days, watching him die. In some moments we willed it to happen, for him to be at peace. At others we still believed it could be avoided, that miracles did exist. Personally I clung to this latter approach until the very end, unable to tolerate the alternative. One of the hardest parts was the regular changes to Graham’s breathing pattern. Time and again he would take three deep breaths and then stop altogether for about ten seconds. The doctors had foreseen this and attempted to prepare us for it, along with the fact that at some point there would be no ten second reprise. Through no fault of their own they failed, and those supposedly short spells were unbearable. The world seemed to stop, like the seconds spent waiting for your fifth player to step forward when you’re 5-4 down on penalties in the Champions League final. But much, much worse. The circumstances of Graham’s death were particularly tragic too. He was only 69, a now surely premature age for someone who was fit and healthy and wonderful. He’d postponed retirement to take part-time jobs in a care home and the NHS, driven by a Yorkshire sense of industry and communal pride. He and my mum had only gotten married less than two years earlier; having spent most of their nineteen years together thinking there was no need they subsequently concluded it was the best thing they’d ever done. Then, to top it off, he was struck by a combination of kidney and bowel problems that the doctors felt they could have solved had they not been occurring at the same time. Graham had been in hospital for nearly two months prior to us taking up permanent residence at his bedside and for the majority of that time his outlook was generally positive; it was only a week before his death that things changed so drastically. Even the chief consultant conceded that Graham was tragically unlucky. Given all this, finding ways of coping in the hospital was hard. I couldn’t call on experience; Graham was my first exposure to the death of a true loved one. Football results were all-but meaningless, my mind wouldn’t let me read or listen to music. Upon coming home there were distractions at least; people to tell, cats to feed, a funeral to plan. The world insisted on continuing to spin. In the hospital however we just sat, for days on end, praying for a happy ending that never came. As ever in life though cope you must, and I felt a determination to be strong for my family, inspired in no small part by the certainty that that’s what Graham would have done. He was a caring and selfless man, perpetually concerned with the wellbeing of others. I can’t begin to imagine what it would have been like to have faced the ordeal alone, or even just with my mum. The experience made me even more committed to supporting the people around me, the same people who in turn support me. Still, even as a close family there were times when we couldn’t remain strong on our own, times when we needed some outside help. Fortunately, we didn’t have to look far. In her book Nurses Are From Heaven, Christina Feist-Heilmeier writes that ‘Every nurse was drawn to nursing because of a desire to care, to serve, or to help.’ It is difficult to envisage a place where this is more fitting than on Ward 50 at Hull Royal Infirmary, and not just with regards to the nurses. During such a time the only people who can really help are those who are there, experiencing it too. And help they did; the nurses, the doctors, the administrative staff, the cleaners. They proved an exceptional group of people who together formed a community where even the worst sadness could be just about endured. It was reasonable to expect their care for Graham to be of a high standard and they did not disappoint on that front. It was their support of his family however where they went beyond the call of duty. They made endless cups of tea, they brought mattresses from other wards, they consistently said the right thing in the right way at the right time. Too often modern-day Britain forgets the importance of community; public services have been ransacked, pubs and youth clubs have closed, political and personal isolationism have soared. 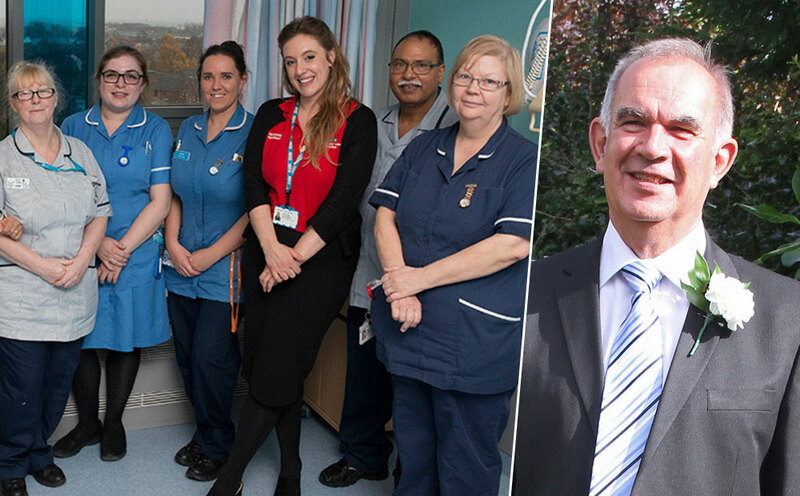 On Ward 50 however a community prevailed; a community of love and support, created and nurtured by the staff. I can’t help but wonder what it was like for them. I’ve heard it said that any experience can be normalised by recurrence, but every death must still leave its mark, every tear witnessed its own scar. And the affection the staff had for Graham was clear and genuine; he was a gentle man who made a big impression. I’m sure they must have felt their own sorrow, especially given that his outlook was optimistic for so long, but never did they waver, their focus remained entirely on looking after Graham and his family. They never stopped smiling or asking or caring. I suppose that’s all any of us can do. Since Graham’s death the hardest moments for me have been those spent alone; when I’m with my mum or my brother or my girlfriend strength comes more easily. Graham always put others before himself and I feel a duty to do the same. Maybe that’s something death teaches us; to learn from those who are gone and to make more of those who remain. 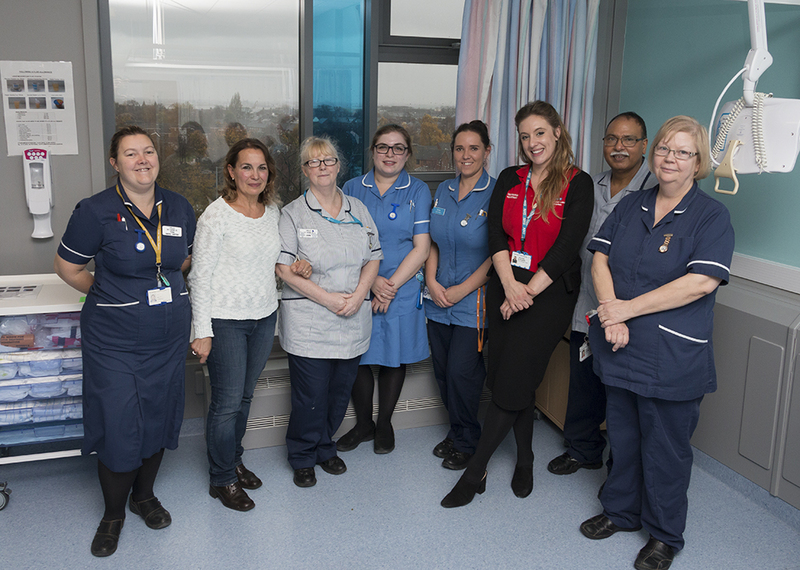 To be kind and mindful and present, like the staff on Ward 50. To them I would like to say thank you, for making the worst festival ever that little bit brighter.